Will bangs flatter my face? 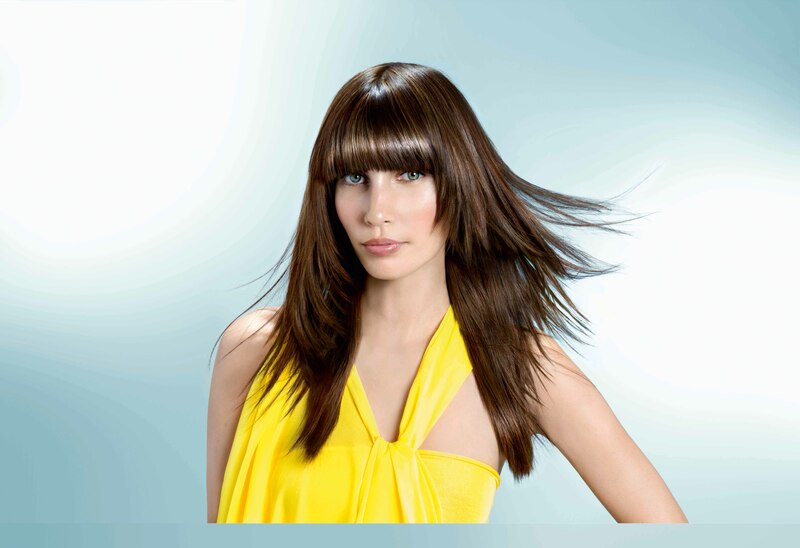 Use bangs to either enhance or soften your face shape and features. Long bangs help balance heart-shaped faces and widen long ones. Tapering bangs around the side can make them also work ona round face. Side-swept styles are flattering on everyone! They soften square jaws, and pointy chins. Blowdrying bangs with a round brush will ensure they lie flat; use a straightening iron for a sleeker look. Hair Q and A – What Colour is Right for Me??? You can wear almost any hair colour as long as it maches your skin tone. If you tan well go for warm shades such as gold, caramel, copppor or chestnut. Caution: If your skin is olive don’t go too light! Cool tones such as champagne, mahogany and ash brown are best for pale skin and will also play down any redness. Can I wear my hair short? Pixie cuts ar appropriate for all hair textures and flatter a variety of face shapes. Shaggier cuts which leave more length on the forehead and sides complement heart shaped faces.